Our skin cells naturally replace themselves every 40 days, but as we age this process slows down. As dead skin cells accumulate, the appearance of the skin can look dull and listless. 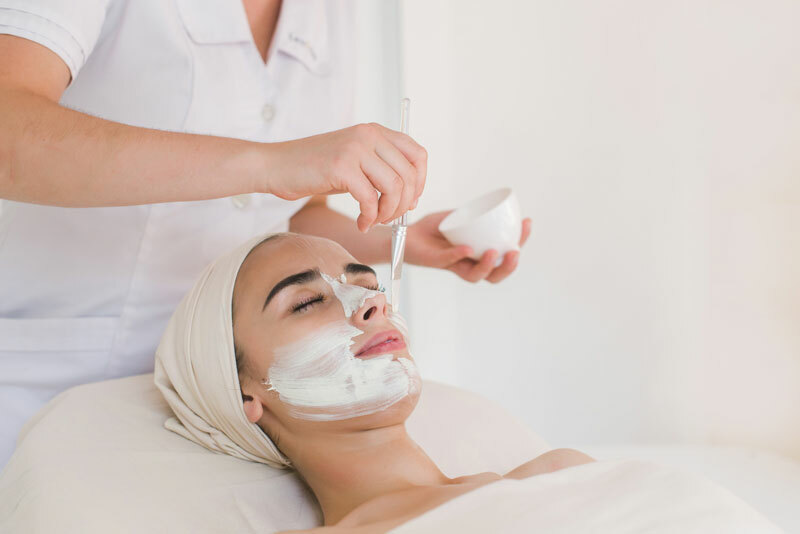 A chemical peel can improve the appearance of your skin by removing the dead cells & stimulating the cell growth cycle – this has an anti-ageing effect and helps to give you a radiant glow. Regular chemical peels strengthen the outer layer of the skin, improve the texture, increase softness, smooth superficial blemishes and help re-balance an uneven skin tone. What are NeoStrata® Skincare Peels? NeoStrata® skincare peels are a highly effective, superficial peeling system used by medical skincare professionals. Often referred to as “lunchtime peels”, NeoStrata® skincare peels are brief in-clinic procedures. Predictable results - A specific technique for skin renewal, the treatment is clinically proven to achieve outstanding and predictable results. Flexible and targeting - The system offers the flexibility of four Rejuvenating Peel concentrations and two targeted benefit peels for clarifying and brightening the skin. This allows us to design a treatment programme to specifically meet your individual needs. Removes damaged surface skin cells - The skincare peel reveals fresh skin, stimulates cell turn over and encourages anti-aging effects in the deeper skin layers. Tackles a range of concerns - A series of NeoStrata® skincare peels can make the skin appear healthier, smoother, plumper, firmer, less oily and more even-toned with fewer acne blemishes. At Springmount Dental & Aesthetics, we believe in helping you get the most out of your facial aesthetics treatments. We want to help you care for your skin in an effective way that is tailored to you. As stockists of Neostrata Skincare, we will suggest a regimen which suits your skin and provide you with advice that is as individual as you are. From oily skin, large pores and acne, to mottled pigmentation, dark spots, dark circles and visible signs of ageing, NeoStrata has product categories to address your needs. Skin Active – advanced antiageing for mature skin. Resurface – to improve skin texture and clarity. Restore – antiageing for sensitive skin. Refine – antiageing for oily/blemished skin. Targeted treatment: for specific skin needs, e.g. sun protection, spot treatment, severe dry skin. Enlighten – for pigmented skin. HOW DO NEOSTRATA PEELS DIFFER FROM OTHER AHA/GLYCOLIC PEELS ? Neostrata® peels are ‘free acid’ peels and are deemed doctor strength. How to tell the strength of a peel will all depend on the PH of the product. The lower the PH, the more bio available the peel is - i.e more free acid available, making this a stronger peel. DOES THE PEEL ONLY COME IN ONE STRENGTH? Neostrata® peels come in four strengths: 20%, 35%, 50% and 70%. Patients always start at 20% for a short period of time (2-3 mins) and for the subsequent peels 20% can be applied again for a longer period of time (up to 5 mins) or can move to 35% again, beginning at 2-3 mins etc. The price is dependent upon which type of peel has been recommended for your skin type.